A roof is the important part of a building. Roofs provide protection from weather such as rain, snow, sunlight, heat, wind etc. and also from animals. There are different types of roofs which are built on buildings. The crucial job of the roof is to keep the people safe from water. The roof repels a lot of water that has to be directed so that it does not cause the damage. Flat roof drainage is very easy and has a very small chance of causing any problems. Until and unless the roof is being properly constructed, it cannot have a long life. But in many countries the roofs are sloped roof so there should have proper drainage holes so that the water does not pool and seep through the tiny holes on the roof. 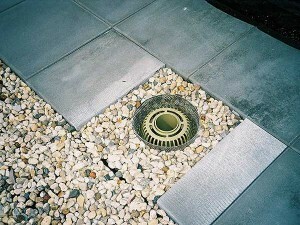 There are many different types of roof drain assembly that are available in the market. It’s up to you which assembly you choose that looks good on the roof. Roof drains can be easily match with a roof’s design. The modern roof drain is designed in such a manner that it drains the rainwater in the best possible way without causing any problem. The roof drain has many features such as anti-corrosive dome material, Gravel stop, good flashing clamp, flexibility to use them on any type of construction. For selecting a roof drain some of the main info like type of the construction, roof pitch, rainfall data, roof load, and size. Installing a roof drain is not a tough task when done with proper steps and taking safety measures. Following the below steps one can easily install the roof drain. Firstly create an opening in the roof where the roof drain has to be installed. Now place the roof drain flange over the opening. This can also be fixed to the roof deck. Now invert the roof drain body and place the hex bolts into the bottom lugs. Now put the nuts in the bolts. Adjust the height for suspension of the drain assembly on the roof. And then use roofing insulation. Now place the drain on the flange in the upright direction aligning bolts with the flange holes. Now fix it using under deck clamp holes with the bolts. And lock it using hex nuts. Now install the flashing clamps and the dome in order to suit the roofing system. When a thin piece of waterproof material is installed in order to prevent water from going into the structure from a joint is called flashing. Before flashing there were many other different ways to protect water from getting inside the structure like use of angled shingles where there is a joint or from where water can be penetrated. Although these methods were not so appropriate in order to protect water. But after the introduction of flashing this problem was resolved completely. These helped in decreasing the penetration of water from chimneys, windows, doors and vent pipes. Birch bark was sometimes used as a flashing material but the major materials are metal, rubber, plastic or impregnated paper. Metal flashing includes lead, aluminum, SS, copper, zinc alloy, etc. There are some flexible flashing products. Flat roof drainage, roof suffix leads to drainage issue as roofs should not be perfectly flat. A sufficient slope should be provided to the perimeter of interior drainage. Roof that has still water holding for more than 48 hours after a rain fall is considered as pounding roof. We have covered details about roof drain. The installation of the roof drain is also covered. Also there is the detail about flashing, different materials used for flashing. This is up to you which type of roof drain assembly you select according to your roof. And which type of flashing you prefer that don’t spoil exterior look of your building.